Register here for the FREE Masterclass Training HOW TO WIN IN LEADERSHIP WITHOUT LOSING YOURSELF - 5 Steps To Becoming a Stress-Smart and Impactful Leader! Click here to join our FREE and transformational facebook group for women in leadership positions. FREE LECTURE VIDEO - See what the big fuzz was about. Short intro video to Linda Bjork's FREE lecture How To Win In Business Without Losing Yourself, held at The Executive Women's Conference in Stockholm, May 2017. Get Access TO THE LECTURE! "Your lecture was a brilliant start to this year's EWC and very appreciated by everyone. Wherever I turn and whomever I meet from the conference are talking about you. You gave us all such inspiration and energy! I am sincerely happy and grateful for your lecture, not just personally, but for all delegates." - Renée Lundholm, Founder of EWC and former President of The Swedish American Chambers of Commerce in New York. Inspiring, motivating, thought-provoking, intelligent, funny and all around professional are the first adjectives that come to mind when I try to describe Linda Bjork. I deliberately say “try” because these descriptors only scratch the surface of a very deep and complex person who is so incredibly selfless with her time and energy that she truly makes everyone in the room feel like they are receiving a one on one coaching session. Linda presented to the directors, officers, staff and real estate agents an empowering session on mindfulness and meditation for the successful business person. We have never had a keynote speaker who elicited so much positive feedback. From comments in the theatre immediately following her presentation to phone calls, texts and emails for weeks beyond, not a single person seemed to go untouched by her message. I would wholeheartedly recommend anyone take advantage of the opportunity for Linda Bjork to share her wisdom with you and/or your entire company. The more the merrier as her impact is truly palatable and can absolutely change lives. - Douglas Heddings Executive Vice President – Director of Sales for Manhattan’s #1 Boutique real estate brokerage CORE. 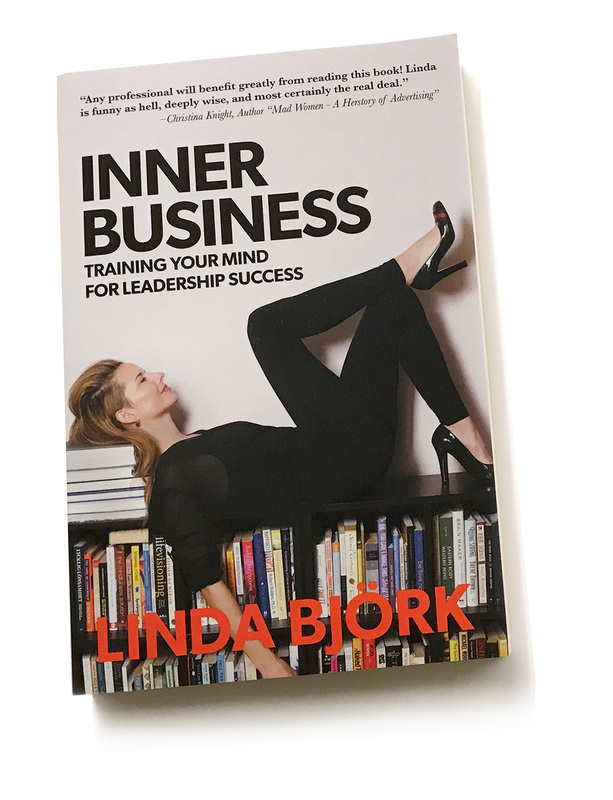 As a former CEO in both The United States and Europe, Linda Bjork has developed a new intelligence system that reaches far beyond intellectual and emotional intelligence called Mindfulness Intelligence (MQ). With the principles of MQ, coupled with Linda's extensive experience from making real results happen in the business world, Linda guides business leaders to overcome the limitations of stress and exhaustion, to step in to a new, connected and powerful level of impact. Linda is the Founder of Mindfulness Intelligence (MQ)™, works as a Transformational Speaker and Authored the book "Inner Business - Training Your Mind For Leadership Success". She is dedicated to elevating mental and emotional skill-levels for business leaders worldwide.